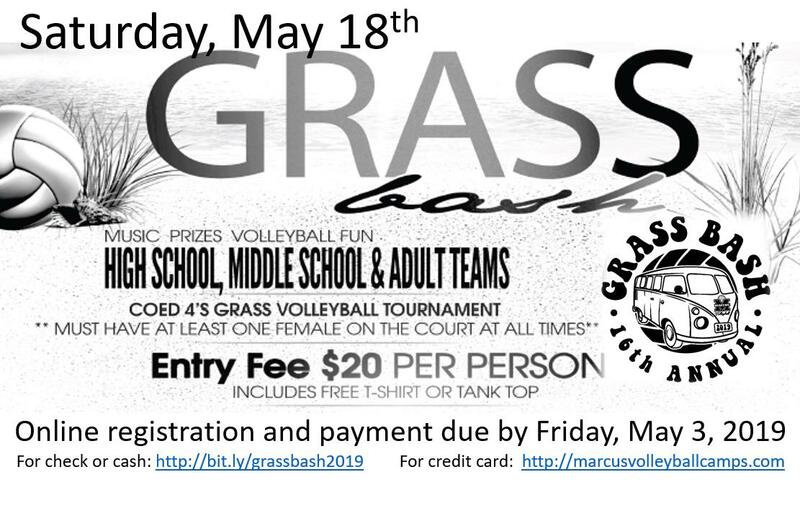 The name of this organization is the Lady Marauder Volleyball Booster Club, and is associated with Edward S. Marcus High School in Flower Mound, Texas. The articles of organization of this organization include: (a) the bylaws of such organization; and, (b) the certificate of incorporation or articles of incorporation of such organization (in cases in which the organization is a corporation), or, the articles of association by whatever name (in cases in which the organization exists as an unincorporated association). d. To aid in promoting the value of participation in the girls’ athletic program. Section 2. The organization is organized exclusively for the charitable, scientific, literary or educational purposes within the meaning of Section 501(c)(3) of the Internal Revenue Code or corresponding section of any future Federal tax code (hereinafter “Internal Revenue Code”). Section 1. The organization shall be noncommercial, nonsectarian, and nonpartisan. Section 2. The name of the organization or the name of its affiliated school shall not be used to endorse or promote a commercial concern or in connection with any partisan interest or for any purpose not appropriately related to promotion of the purpose(s) of the organization. Section 3. The organization shall not – directly or indirectly – participate or intervene (in any way, including the publishing or distribution of statements) in any political campaign on behalf of, or in opposition to, any candidate for public office. Section 4. This organization shall not use any EIN (tax number) other than its own. The EIN for the Lewisville ISD is not to be used by any booster club for any purpose whatsoever. Section 5. This organization shall secure a sales tax permit from the Texas Comptroller’s office and shall display the permit in accordance with applicable law. Section 6. No part of the net earnings of the organization shall inure to the benefit of, or be distributable to, its members, directors, trustees, officers or other private persons except that the organization shall be authorized and empowered to pay reasonable compensation for services rendered and to make payments and distributions in furtherance of the purposes set forth in Article III hereof. Section 7. This organization shall prohibit voting by proxy. Section 8. No part of the membership roster of this organization shall be sold to any entity or exchanged for any services or products without the approval of the majority of the general membership. Section 9. Notwithstanding any other provision of these articles, the organization shall not carry on any other activities not permitted to be carried on (i) by an organization exempt from Federal income tax under Section 501(c)(3) of the Internal Revenue Code, or (ii) by an organization, contributions to which are deductible under Section 170(c)(2) of the Internal Revenue Code. c. Carry out promptly, under the supervision of the LISD sponsor or his designee, all proceedings necessary or desirable for the purpose of dissolving this organization. Section 11. This organization shall keep such permanent books of account and records as shall be sufficient to establish the items of gross income, receipts, and disbursements of the organization. Such books of account and records shall at all reasonable times be open to inspection by its members. Section 12. Only members who have paid dues for the current membership year (school year) may participate in the business of that organization. Section 1. Membership in this organization shall be made available without regard to race, color, creed, or national origin, nor in conflict with the provisions of the UIL. Section 2. A family’s paid membership dues allow membership in the organization from August to July. Section 3. Upon payment of annual dues, a family shall have membership in the organization for one (1) year. Section 4. The payment of annual dues shall be waived for all Marcus High School coaches of girls’ volleyball. Section 5. This organization shall sustain a yearly membership total of at least twenty (20) members to remain an active booster club on the Edward S. Marcus High School campus. Section 1. Each officer must be a member of this organization. Section 2. No officer shall be married to another officer. No officer may be a sibling of another officer. No officer shall be a signer for any checks that are payable to any of his family members. a. The officers of this organization shall consist of a President, Vice President, Secretary, Treasurer, Membership Chair, Fundraising Chair, Concessions Chair, Spirit Chair, Program Chair, Kick-Off & Banquet Chair, Webmaster Chair, and Video Chair. b. Officers shall be elected by ballot in the month of February. However, if there is but one nominee for an office, election for that office shall be by voice vote. Elections shall be by plurality. c. An individual must be a member prior to taking office. d. Officers shall assume their official duties in April after their election, and shall serve a term of one year, April 1 through March 31 of the following year. e. No officer shall serve in the same office for more than two consecutive terms. One who has served more than one-half of a term shall be credited with having served that term. a. There may be a Nominating Committee elected by the Executive Board one month prior to the election of officers. Elections shall be by plurality. The committee shall be composed of at least three (3) members. One (1) alternate may be elected to serve in the event a member is unable to serve. The Committee shall elect its own chairman immediately following their election. b. The Nominating Committee shall nominate an eligible person for each office to be filled and report its nominees at the regular meeting in February, at which time additional nominations may be made from the floor. The Nominating Committee report shall be publicized to the local unit membership through regular publicity channels at least seven (7) days before the election meeting. d. No member shall automatically serve on this Committee because of his office in the organization or position in the school system. e. The sponsor shall not serve as a member of this Committee, nor shall they appoint any member of the Committee. a. A vacancy occurring in any elected office shall be filled for the unexpired term by a person elected by a majority vote of the Executive Board, notice of such election having been given. b. In case a vacancy occurs in the office of President, the Aide to the President shall serve notice to the Executive Board of the election. By two-thirds (2/3) vote of the Executive Board, an officer or chair shall be removed from office for failure to perform duties, criminal misconduct, or unethical behavior in the organization’s business. j. Perform such other duties as may be prescribed in these bylaws or assigned by the organization. j. Perform any other duties as assigned by the President of this organization. The Treasurer shall also serve as the Scholarship Committee liaison to the sponsor. d. Perform any other duties as assigned by the President of this organization. c. Perform any other duties as assigned by the President of this organization. The Fundraising Chair shall report to the Treasurer of this organization. e. Perform any other duties as assigned by the President of this organization. g. Perform any other duties as assigned by the President of this organization. f. Perform any other duties as assigned by the President of this organization. d. Be responsible for using budgeted monies to purchase web space and maintaining the website software. b. Solicit and utilize resources (pictures, video, etc.) from all teams so that there is comparable representation in the video. e. Deliver to their successors or the President all official materials within fifteen (15) days following the date at which their successors assume their duties. Section 1. The sponsor of the organization shall not be a member or have voting privileges on the Executive Board. Section 1. This organization shall hold a minimum of three (3) meetings a year. a. Regular meeting dates will be established by the Executive Board at the first meeting of the year. Time and dates will be announced to the membership at its first meeting of the year. Five (5) days’ notice shall be given if a change of date is needed. b. The regular meeting held in January shall be the election meeting. c. The annual meeting in August shall be for the purpose of receiving reports of officers, committees, and chairs and for any other necessary business. Section 2. Special meetings of the organization may be called by the President or by a majority of the Executive Board, at least three (3) days’ notice having been given. Section 3. Ten (10) members shall constitute a quorum for the transaction of business in any meeting of this organization. Section 1. The Executive Board shall consist of the officers of the organization and the chairs of the standing committees. Section 2. The sponsor of the organization shall not be a member nor have voting privileges on the Executive Board but shall attend board meetings. Section 3. A member shall not serve as an officer or chair of the organization’s Executive Board while serving as a paid employee of or, having purchasing contracts with the organization. h. Ensure that the organization, through its practices and policies, does not violate such rules and regulations that govern UIL. a. Regular meetings of the Executive Board shall be held prior to each regular organization meeting, the time to be fixed by the board at its first meeting of the year. b. A majority of the Executive Board members shall constitute a quorum. c. Special meetings of the Executive Board may be called by the President or by a majority of the members of the board, at least three (3) days’ notice being given. Section 1. Only members of the organization shall be eligible to serve in any elective or appointive position. Section 2. The Executive Board may create such standing and special committees as it may deem necessary to carry on the work of the organization. The term of each chairman shall be one (1) year or until the selection of a successor. Section 3. The newly elected President shall call a meeting of the incoming officers within thirty (30) days after the election for the purpose of approving standing committee chairs and such other business as becomes necessary. Section 4. No chair shall serve in the same office for more than two consecutive terms. One who has served more than one-half of a term shall be credited with having served that term. Section 5. All standing committee chairs shall deliver to their successors or the President all official materials within fifteen (15) days following the date at which their successors assume their duties. Section 6. The President shall be a member ex-officio of all committees except the Nominating and Audit Committees. Section 1. The fiscal year of this organization shall begin April 1 and end March 31. Section 2. An Audit Committee consisting of not less than three (3) members, who are not authorized signers, shall be appointed by the Executive Board at least thirty (30) days before the last meeting of the year. Section 3. The Audit Committee report shall be adopted by the organization. The rules contained in the current edition of Robert’s Rules of Order Newly Revised shall govern the organization in all cases in which they are applicable and in which they are not in conflict with these bylaws, or the articles of incorporation. Section 1. These bylaws may be amended at any meeting of the organization, provided a quorum is present, by two-thirds (2/3) vote of the members present and voting. Notice of the proposed amendment shall have been given at the previous regular meeting or twenty (20) days prior to the meeting at which the amendment is voted upon. Each amendment to the bylaws shall be provided to the membership through the regular publicity channels at least twenty (20) days prior to the meeting at which the amendment is voted upon or at the previous regular meeting. Section 2. A committee may be appointed to submit a revised set of bylaws as a substitute for the existing bylaws only by a majority vote at a meeting of the organization, or by a two-thirds (2/3) vote of the Executive Board. The requirement for adoption of a revised set of bylaws shall be the same as in the case of an amendment. Section 3. After adoption by a two-thirds (2/3) vote at a meeting of the organization, a copy of bylaws (and Standing Rules) as amended or revised and dated shall be sent to the campus principal. Section 4. This organization shall review and if necessary amend its bylaws at least every three (3) years.